BBC Radio 1 has revealed plans for a three day digital radio station to mark Radio 1’s 50th birthday - featuring 50 one-hour themed nostalgic shows made from Radio 1's archive material, from DJs across its entire history - to celebrate the pivotal role that Radio 1 has played in music, entertainment and popular culture since its launch in 1967. There will be hour-long ‘Best Of’ shows featuring iconic DJ names from the last five decades including Tony Blackburn, John Peel, Dave Pearce, Kenny Everett, Annie Nightingale, Mike Read, Pete Tong, Noel Edmunds, Zoe Ball, Steve Lamacq, Sara Cox, Chris Moyles, Mary Anne Hobbs, David Jensen and Jo Whiley, to name just a few. There will also be programmes about classic shows including Radio 1 Roadshows, Radio 1’s Live Lounge, Radio 1’s Official Chart, Newsbeat, 1990s Comedy Shows, ‘They Started at Radio 1’, and ‘Epic Documentary Series’. With more to be confirmed, shows will feature archive content, music that’s spanned the last 50 years, and DJs will be invited back to share their memories of all the behind-the-scenes gossip, looking back at their favourite Radio 1 moments for the start of the programmes. After these introductions the shows will be compilations of favourite bits of original broadcasts and listeners will be able to enjoy the shows in the same way that they would have when they were teenagers. Radio 1 has played a unique role for young people in the UK for the last 50 years and Radio 1 Vintage will bring together generations of listeners, through their shared memories of much-loved broadcasters and their most memorable on-air moments. 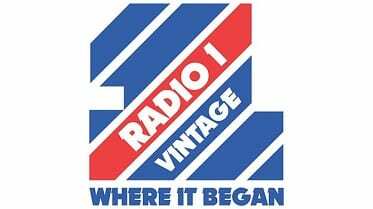 Radio 1 Vintage will kick off on Saturday 30th September 2017, 50 years to the day since Radio 1 launched. From 8:30am there will be a live triplecast across Radio 1 Vintage, Radio 1 and Radio 2 - presented by current Radio 1 Breakfast Show host Nick Grimshaw, and Tony Blackburn - the first ever host of the iconic show. The co-hosted show will feature previous Radio 1 DJs as guests, plus archive content and hit records from across the years. Earlier that day there will be a live re-creation of Tony Blackburn’s first ever Radio 1 show including ‘Flowers in the Rain’ by The Move, famously the first song ever played on Radio 1. This show will be broadcast live from 7am on Radio 1 Vintage and Radio 2 (as a part of Sounds of the Sixties).